Below is a full list of my guides to Wicca, magic, and other related topics. These short, beginner-friendly books are available online in ebook, paperback, and audio book format. 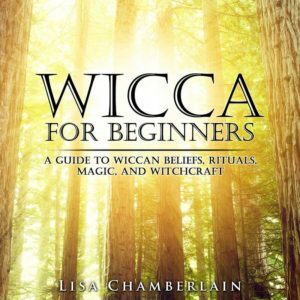 Wicca for Beginners was created as an entry point for anyone seeking information about what Wicca is really all about. Whether you’re considering pursuing Wicca as a spiritual path, or would simply like to know more about it, this guide is a great place to start. One of Wicca’s greatest strengths as a spiritual practice is the variety of paths one can choose from. While some are drawn to the idea of practicing in total secrecy and solitude, others crave a group of like-minded individuals to learn from and worship with. Finding Your Path introduces you to the wide spectrum of contemporary Wiccan practice, with tips to help you make well-informed decisions about where you want your journey to take you. This guide provides a thorough introduction to the Wiccan altar and the tools of ritual and spellwork. With ideas for how to find or make an altar that’s perfect for your own personal practice and descriptions and explanations of each ritual tool, this guide contains everything you need to know to get started with your ritual practice. This is the ultimate “how-to” guide for creating your own personal Book of Shadows, with tips for choosing your materials, organizing your information, and putting your creative touches on every page. Magical Deities provides a closer look at the Wiccan concepts of deity—how the God and Goddess came to be, and how they relate to many different deities from ancient pantheons—and introduces several of the most common “aspects” of the Goddess and God, borrowed from the Egyptians, Greeks, Romans and Celts. This guide focuses on the Sabbats— their significance within the context of the ever-changing seasons, the part they play in the mythological cycle of the Goddess and the God, and the spiritual themes they ask us to reflect upon as we celebrate them. Each chapter provides history, lore, and spellwork tailored specifically for each point on the Wheel. The Elements—Earth, Air, Fire, Water and Spirit—are the core spiritual energies of the Universe. This book explores Wiccan-oriented ritual and magic through the lens of the Elements, and is intended for beginners and more seasoned Witches alike. The books in this series are written from a Wiccan perspective, but the information is relevant for any Witches wishing to learn about and practice positive magic. Each of the guides contains an overview of magical theory as it applies to the specific form of magic (candle, crystal, etc.) as well as plenty of spells to inspire your practice. Learn how and why candle magic works, try your hand at several spells, and create your own using magical color correspondences. Explore the mysterious and magical world of crystals and other mineral stones. 13 in-depth profiles of the most popular crystals used in contemporary magic, as well as plenty of spells to get you started. Herbs are arguably the world’s first magical tools. Learn about the inherent magical energy of the plant kingdom, get to know 13 of the most popular and accessible herbs used in magic today, and try your hand at some spellwork. The ancient art of magical fragrance meets the 21st century in this guide. 13 in-depth profiles of delightful essential oils, with blending instructions, several recipes, and some practical ways to use your blends in spellwork. A mini-compendium of 40 unique spells related to love and relationships, wealth and prosperity, and health and well-being. Instructions are detailed enough to be excellent for beginners, but the spells are designed for all levels of experience. Expanding on the information in Herbal Magic, but also able to stand on its own, this herbal Book of Shadows contains 52 spells, rituals, crafts and recipes utilizing the magical power of plants. The “Witch’s dozen” of 13 herbs featured are the same as those in Herbal Magic, providing new opportunities to deepen your magical relationship with your personal favorites. This collection of 52 spells, rituals, and other workings uses the same 13 stones from Crystal Magic, allowing readers of that book to expand their knowledge and deepen their magical relationships with these stones. However, it also stands on its own as a crystal-centered Book of Shadows. This candle-centered Book of Shadows delves into the powerful combination of color and the Element of Fire. It builds on the content of Wicca Candle Magic, though it can stand on its own. 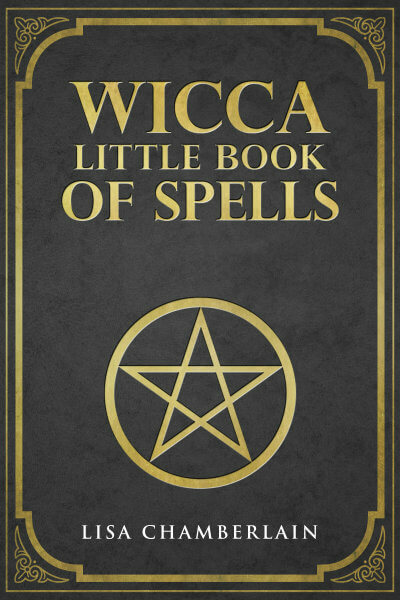 It contains 56 candle-centered spells and rituals, using the 14 colors most popular colors in Wiccan and other contemporary magic. This guide is truly about getting back to the basics, with a brief exploration of how our pagan ancestors worked with trees in their ritual and magical practices, and why trees are important to modern Wicca. The spells in the “grimoire” section of the book are simple enough for beginners to magic, and focus on 13 common magical trees native to North America. These books were written with both Wiccan and non-Wiccan audiences in mind. All contain useful information and ideas for taking your spiritual and magical development further, no matter where you are along your path. Here, we venture beyond the borders of modern Wicca to explore the broader history of Witchcraft as a whole, the various forms of the Craft found today, and the basic Universal principles found at the heart of all magical practice. Perfect for the intellectually and spiritually curious, as well as those looking for help dispelling the old myths and misconceptions about Witchcraft and magic. This book focuses on the power of the Moon and its implications for aligning your magic with lunar cycles. The practical elements are largely accessible enough for beginners, but those with more magical experience are still likely to find plenty of new ideas, concepts, and tips to enhance their practice. The focus of this book is on enhancing your daily spiritual life. It includes an in-depth discussion of one of the more mysterious topics encountered by newcomers to the Craft—initiation—as well as other ways of deepening your connection to your individual path. Whether you’re just beginning to learn about Witchcraft, or have been “dabbling” for some time without finding a solid footing, you’ll find something in this guide to aid your journey. This book is an introduction to the Law of Attraction from a Witch’s point of view, and explores where the art of magic and the principles of the Law of Attraction meet. But you but you don’t have to be a Witch in order to gain plenty of insight in these pages. It’s actually intended for both Witches and non-Witches alike. An excellent starting point for anyone interested in learning the art of the Tarot. This guide includes a brief history of these mysterious cards, an overview of the basic deck structure, interpretations for each of the 78 cards, tips on reading the cards and example spreads for you to try yourself. Bring your magical practice into the kitchen, whether you’re creating a Sabbat feast or just engaged in everyday cooking. This guide explores the magical energies of food and includes a few recipes, advice for turning your kitchen into an enchanted space, and even some help for those whose culinary skills don’t go beyond peanut butter and jelly sandwiches! Whether you’re interested in runes for divination, for magical workings, or both, this guide provides a concise but well-rounded orientation. Learn about the history of the runes and their significance to the ancient tribes of Northern Europe, and some basic approaches to rune casting and rune magic. The book includes comprehensive divinatory meanings and magical uses for each rune in the Elder Futhark.